An outdated bathroom isn’t just an eyesore; it can also be quite harmful to the environment, because old toilets and faucets waste a ton of water, most of the building materials aren’t sustainable and many water heaters use way more energy than needed. In recent years, there have been significant changes in the world of bathrooms, with many eco-friendly fixtures, decor and accessories hitting the market. 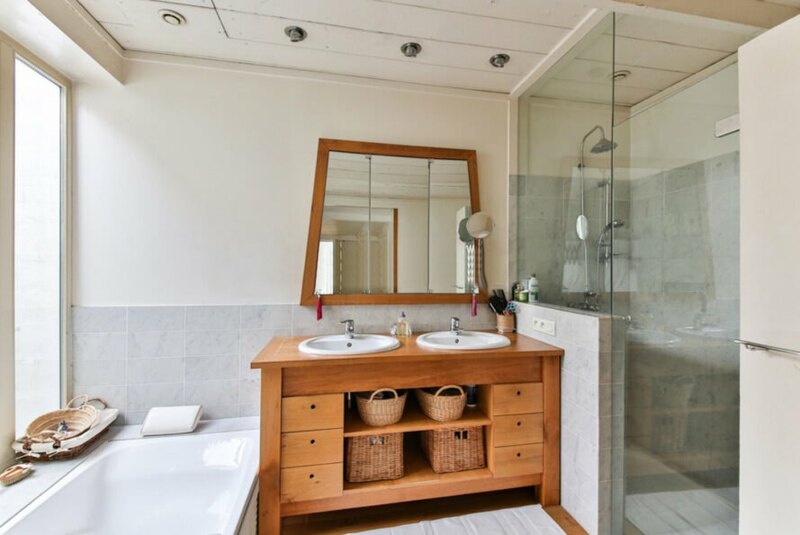 If it is time for a bathroom remodel in your home, take the opportunity to go green with some of these eco-friendly bathroom ideas. 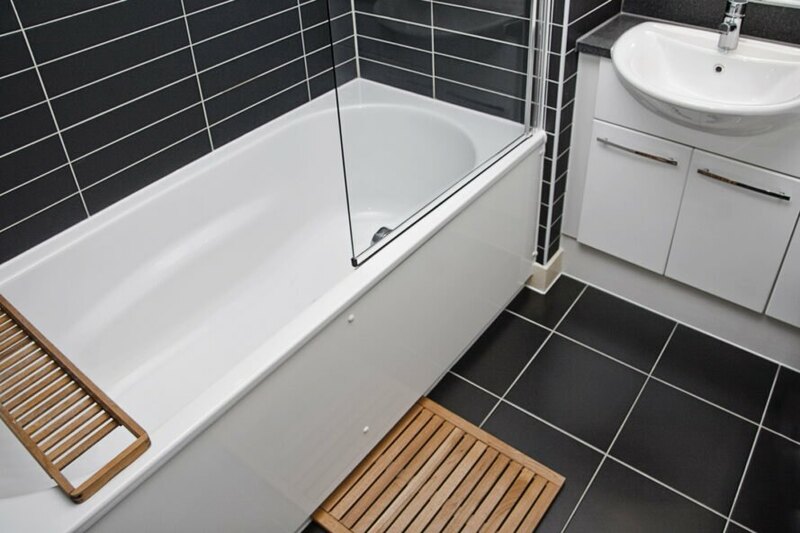 Most bathrooms feature some kind of tile, and now you can easily find options made from recycled content available in just about every aesthetic you can think of. You can find bathroom tile made from bamboo, cork or eco-friendly concrete. Newer options on the market include tiles made from reclaimed wood and vegetable ivory. Most traditional cabinets and vanity sinks use plywood, particle board, pressed wood and medium density fiberboard (MDF). But the glue used in those materials contains formaldehyde. Now, there are eco-friendly cabinets and vanity options made from solid wood or recycled and reclaimed materials that are much safer. Think of cabinets made from bamboo or recycled concrete and countertops made from recycled glass or paper. Forget fiberglass and acrylic, and instead, consider a steel bathtub. The German company KALDEWEI offers bathtubs made from a steel enamel that come with a 30-year guarantee. Instead of ending up in a landfill at the end of its lifespan, these bathtubs — as well as their steel bathroom fittings — can be completely recycled. It should come as no surprise that every time you flush the toilet, you are wasting a significant amount of water. But there have been major advancements in recent years with low-flow and dual-flush toilets that have reduced water usage. Just a few years ago, toilets used more than three gallons of water with each flush. Now, high-efficiency toilets use less than a gallon. 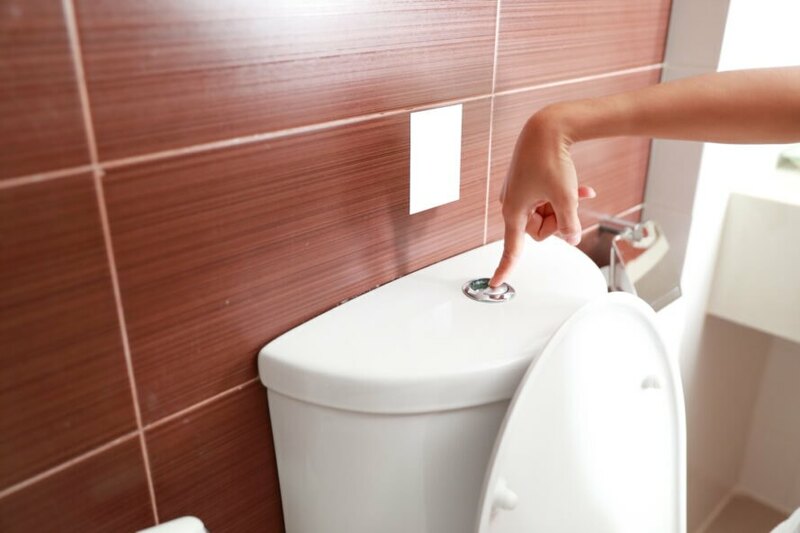 Considering how often your family flushes the toilet each day, this new technology can save thousands of gallons of water every year. Not only is this good for the environment, but it also helps lower those utility bills. The same goes for faucets and showerheads. The flow rates have dropped significantly over the years, so upgrading can result in less water usage, increased energy efficiency and even more savings on your utility bills. A fantastic resource for finding water-efficient appliances is the Environmental Protection Agency’s WaterSense program website. It offers a list of approved appliances that meet the EPA criteria, and it rates everything from showerheads to bathroom accessories. If you want to reduce your water usage without replacing your showerhead and faucet, you can add an aerator that will reduce the water flow rate without affecting water pressure. The U.S. Energy Information Administration says that nearly one-fifth of your home energy use is for heating water. An eco-friendly bathroom remodel should include the installation of an energy-efficient water heater. When shopping for water heaters, look for the EPA’s Energy Star label, so you know the product has been certified energy-efficient. Eco-friendly options include a heat pump water heater, which uses heat from the air to heat the refrigerant that heats your water; a tankless water heater, which will heat the water as you use it; a condensing storage water heater, which will use less energy to create hot water; or a solar water heater, which will slash your energy costs. Cloth bath mats can invite mold and mildew, so opt for a mat made from teak wood that resists harmful bacteria while giving your bathroom a modern look. Oiled teak shower mats are slip resistant, naturally warm and easy to clean. Harmful chemicals are often used when making traditional cotton bathroom linens, so when you are updating your bathroom, don’t forget to upgrade your towels and washcloths with organic cotton towels that don’t use pesticides. Get rid of those plastic toothbrushes and replace them with biodegradable bamboo. Mable offers a chic, self-standing bamboo brush at an affordable price. When you buy one, the company gives one to a child in need. Toothbrushes are just the beginning when it comes to bamboo bathroom accessories. You can find things like bathtub trays, soap dispensers and toothbrush holders that are made from this all-natural, sustainable material. It’s easy to go green when you remodel your bathroom. Even though some of these options may seem to be a bit pricey, remember that many of them will save you a ton of cash in the long run because of reduced energy bills. Try some of these eco-friendly bathroom ideas when you are turning your outdated bathroom into a sustainable home spa. An outdated bathroom can waste energy and water, plus it can be an eyesore. Use sustainable materials for cabinets, walls, floors and more to improve the sustainability of your bathroom. Low-flow fixtures can help your household save water. Small details like bath mats and toothbrushes should also be considered. How will you upgrade to an eco-friendly bathroom?